Last week, there were two political transitions on the continent which were both dramatic in their own right. Zambia’s Michael Sata passed away in London, after battling an illness. This occurred amidst persistent rumours about his failing health. In fact, there were rumours about his death during this year’s UN General Assembly in September after he failed to show up for his address, and his whereabouts were unknown. May his soul rest in peace. So far, the constitution has been respected. Despite the controversy, the situation has not degenerated into a full-blown succession crisis. Although there have been protests against Scott’s ascension to the position of interim President, the rule of law seems to be prevailing. This is commendable. A smooth succession by a deputy should be the normal and logical process in a democracy. Except that if you consider the counter factual, in the context of sub-Saharan Africa’s fledgling democratic institutions, and how easily this normal process could have been derailed by other interests, then the Zambian political class does deserve some commendation. I am writing this with the acrimonious succession crisis which trailed Nigerian former President, Yar’adua’s illness and death in 2010, firmly in mind. There are several important dynamics here. One, since Mohammed Bouazizi’s self immolation in Tunisia sparked the contagious flames of the Arab Spring, observers have wondered whether the flames would be extended south of the Sahara. In fact, recent mass protests in places like Nigeria and Sudan over removal of fuel subsidies, in Ghana over economic problems, and their lackluster denouement had foreclosed the idea of any mass uprising in sub-Saharan Africa. 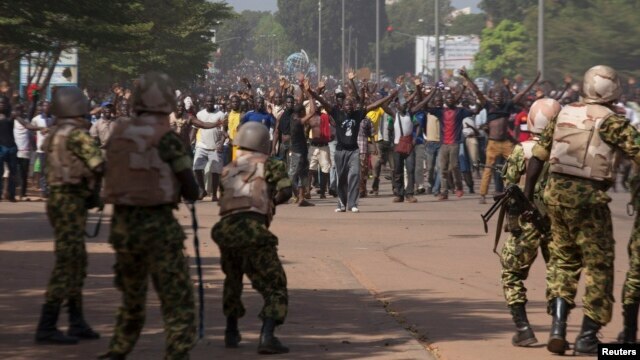 Now, this happening in Burkina Faso and its profound effect of sacking a decades-long ruler well on his way to becoming life President was unexpected. Second, that this ‘revolution’ could happen in a Francophone African country was equally surprising, although those with in depth knowledge of the country may argue otherwise. Compaore, was a key ally to France (and France is no fair-weather friend), and his regime strategic mediation role in the region endeared him to a number of global powers for the regime’s ‘stability’ and nominal democratic credentials. Importantly, like Paul Biya of Cameroon, Compaore was able to insidious stay under the radar of infamy. So, while for instance, the thought of the contemporary ‘African dictator’ invokes the images of Robert Mugabe in the popular imagination, few non-Africans even knew who Burkina Faso’s leader was or that he’d been ruling for close to three decades. Of course his contemporaries in the life-presidency business such as Equatorial Guinea’s Obiang, Angola’s Eduardo Dos Santos, and Cameroon’s Paul Biya are closing watching how things unfold. Three, the outcomes of this uprising have rapidly moved from exciting to worrying. Infact the situation is validating the scepticism many observers – myself inclusive – have about such radical and abrupt political transitions. There is a constitutional crisis and events are starting to bear the hallmarks of a military coup hijacking what was a genuine expression of The People’s will. Constitutionally, the Senate President should take over the role of President until elections are organised. Yet, the army took over the reins of power, after a brief internal power struggle. The vociferous disapproval of the army’s antics by opposition movements, and most Burkinabes has pressured the military leaders to promise to cede power to a ‘transitional body’ which would organise elections. The situation is currently very fluid and very fragile. This is the issue with power vacuums the world over. In that brief interim when no one is in charge, and all is fair game, a primal and Darwinian power struggle ensues, with the victor often being the wiliest or the most ruthless. What is happening in Burkina Faso is increasingly reminiscent of the army’s hijacking of the people’s revolution in Egypt. One hopes that the former doesn’t generate into an intractable political crisis and violence. With Boko Haram and the other Islamist movements in the region wreaking havoc already, the West African sub-region cannot afford another violent conflict at this stage. African Spring on the way soon. Interesting analysis Zainab. I wonder why Guy Scott was allowed to be Vice President when he legally cannot be President…this is an open invitation for constitutional crises especially if you face a less agnostic VP. Another transition to watch is the ongoing murky fight between Zimbabwe’s Vice-President Joice Mujuru and the First Lady Grace Mugabe who is now hellbent on succeeding her husband next year. Infact, from calculations, Grace culd end up as VP later this year if she takes leadership of Zanu PF as being speculated. I think the issue is Guy Scott cannot constitutionally run for elections, but he is qualified to lead in an acting capacity, temporarily. Thanks for the heads up on the subterranean power tussle in Zimbabwe. It will be interesting to see how things play out. Thanks for your description of the happenings in several countries, with similarities and differences. Burkina Faso was a surprise, as you say. Who knew? Exactly. Burkina Faso. Who knew?